We live in Vancouver so of course we go hiking! Helen had to work the weekend so I had the kids and a day off. 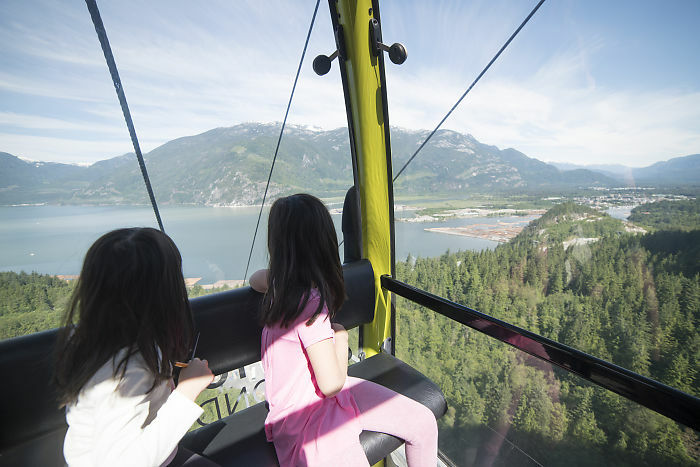 We explored a bit of back country behind the new Sea to Sky Chairlift. 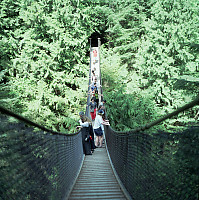 Preparing for a larger trip in the summer, we were attracted to the "grouse grind" of the fraser valley. Sadly, not the place to bring new boots. Hiked August 23rd, 2008, 6 hours. Hiked August 16th, 2008, 9 hours. Hiked August 5th, 2007, 8 hours. Hiked July 16th, 2006, 4 hours. Hiked July 17th, 2005, 12 hours. Hiked April 9th, 2005, 5 hours. Hiked August 8th, 2004, 6 hours. Hiked July 2nd, 2004, 5 hours. Hiked April 11th, 2004, 3 hours. Hiked July 1st, 2003, 1.5 hours (incomplete). Hiked May 5st, 2002, 2 hours (incomplete). Hiked July 1st, 2001, 3 hours. We took about 3 hours. We spent about 2 hours at the top. Used , hike 2, but wound up doing hike 1. One of my favorite hikes - Summer of 1998. We took about 6 hours. I use the updated 3rd and updated fifth editions. These books concentrate on hiking to the top of things, but there aren't many nice three hour hikes that are easier. A good book for finding doable hikes. The index at the back has hikes sorted by length and season which quite helpful for planning, and this book isn't too proud to include hikes that are shorter than all day or have less vertical than the grouse grind. A new book for me, I hope to use it this summer. Many of the hikes listed are at least overnight hikes so this isn't necessarily your Sunday hiking book. In winter, this book is good for finding a few hour long hikes before sunset.